Magnetic resonance imaging (MRI) Guided Breast Biopsy is less invasive than surgical biopsy and only requires local anesthetic to numb the biopsy site. The radiologist will remove a tissue sample under MRI guidance to be analyzed to determine if the growth is benign or cancerous. If you take aspirin or another blood thinner, let us know ahead of time. You may be advised to stop three days befor ethe procedure. Wear a bra to your appointment. After the procedure, you may receive a cold pack to hold against the biopsy site. You may want to have a relative or friend come with you to lend support and drive you home. Leave valuables at home. 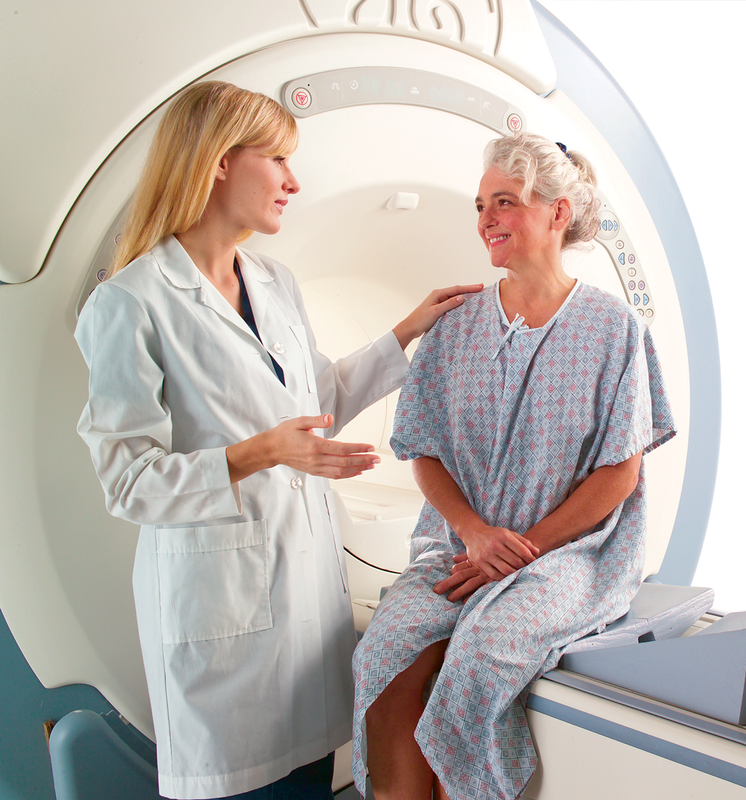 No metal objects can be worn during your scan (such as watches, jewelry, keys or cell phone).